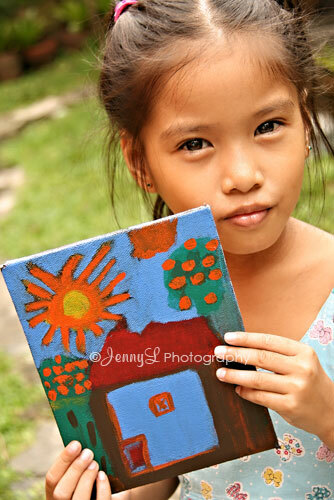 This is my niece Reign showing off her very 1st painting on canvass. She actually finished this in 3 days. She loves to draw in papers and this time she tried on canvass since she saw her dad and her uncle making one lately.We are not wondering where she got the talent bec. it is pretty obvious already. She keeps herself busy this summer by drawing or playing dress up games etc on pc.